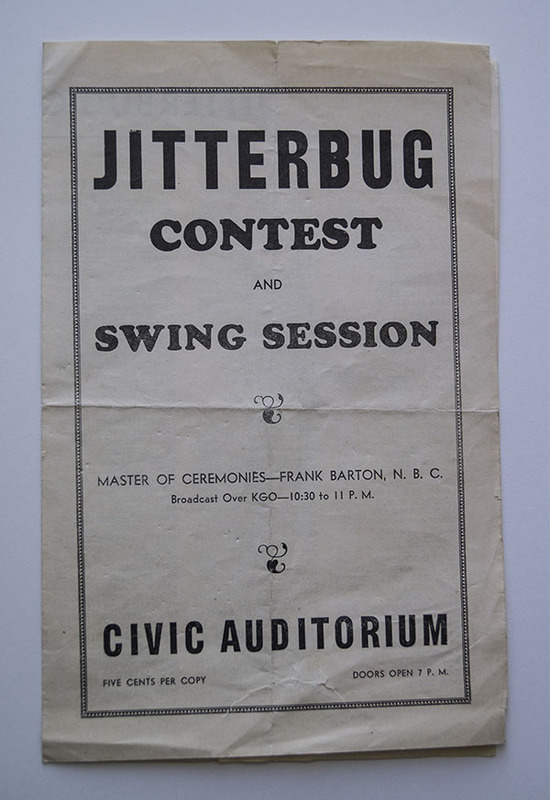 This flyer from the 1940’s advertises a “Jitterbug Contest and Swing Session” at the Civic Auditorium in San Francisco, California. 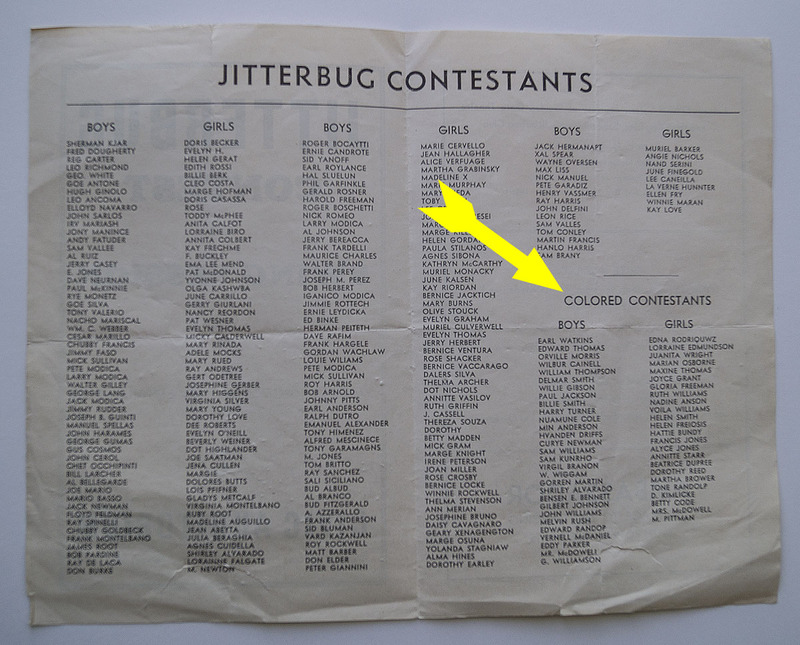 The brochure lists the contestants with the “Colored Contestants” listed separately. 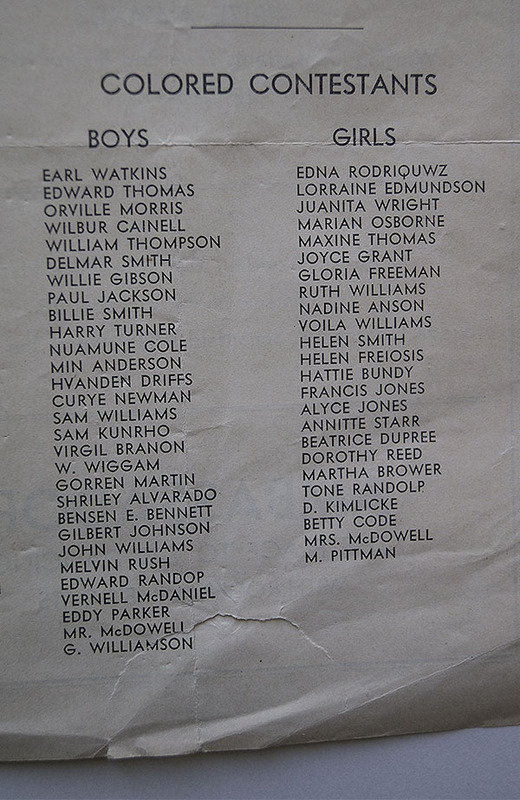 Master of Ceremonies Frank Barton, N.B.C. 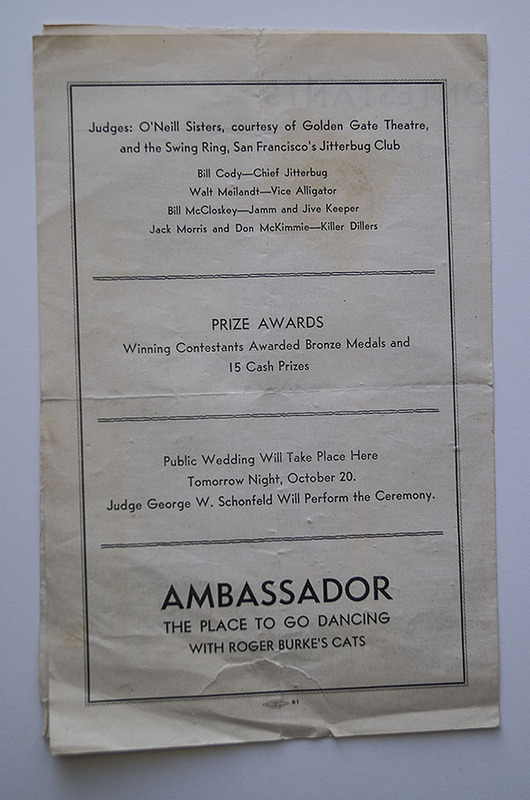 Mentions the Golden Gate Theatre and the Swing Ring, San Francisco’s Jitterbug Club. Jack Morris and Don McKimmie Killer Dillers.